$1,425,990 2 Bed + Den Penthouse Suite At Yonge/Eglinton! 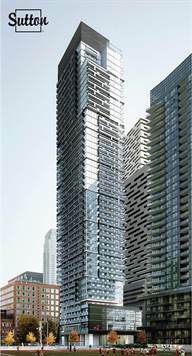 E2 Condos - A Brand New Development Positioned In The Heart of Yonge & Eglinton! This Beautiful Neighbourhood Has Been Experiencing Massive Growth, Especially Since The LRT Became A Reality. You Will Be Surrounded By Boutique Shopping, Dining, Casual Clubbing And First-Rate Recreational Options! Located Just Minutes From Eglinton Park, A Large And Wonderful Place To Spend An Afternoon! For Those Who Live At Yonge-Eglinton, Getting Around Is Always Hassel-Free With The Yonge-University-Spadina Subway & Bus Lines Running East And West. For Those Who Drive, The Allan/401/DVP Are All Only A Short Drive Away! E2 Condos Are Without A Doubt A Superb Option For Anyone Looking For A Great Place To Call Home, Or An Amazing Investment Opportunity. Each Suite Features Superb Finishes Such As A Quartz Countertop, Tile Backsplash And Potlights In The Kitchen, 9 Ft Ceilings, Solid Core Entry Door, Pre-Engineered Laminate Flooring, Integrated Vanity & Sink And A Deep Soaker Bathtub With A Flat Top Edge In The Bathroom! E2 Condos Promises Spectacular Views From Your Suite, Overlooking All Areas Of The City Of Toronto! The Amazing Building Amenities Will Include A Fitness Room, Games Room, Kids Zone, Seasonal Outdoor Home Theater, Party Room, Pet Spa & So Much More! Call Your Sutton Representative Today For Floor Plans, Pricing And Any Questions You Might Have!